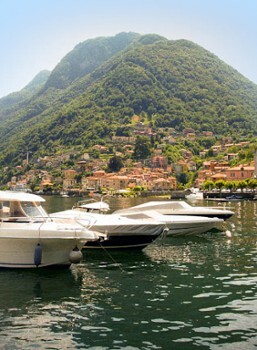 When in Argegno, consider renting a boat and seeing the sites from the water. No boat license required. We are open every day from April to September all-day opening. We advise that boats be booked at our shipyard or by phone at number (+39) 031 821268. No reservations will be considered for 1 hour renting. This cable car, one of the steepest ones in Europe—in only 5 minutes it brings you from 200 m to 850 m offering you a spectacular view of the town of Argegno and the lake. Bus line C10 stops right in front of the cable car station at Argegno. From Pigra you can do the wonderful hike down to Colonno (2 hrs.) situated on the lake. At renting, you must deposit a valid identity document and pay a deposit. Thay will be returned at redelivery, after boat inspection. The minimum age is 18th years old, no ship's passport is required. 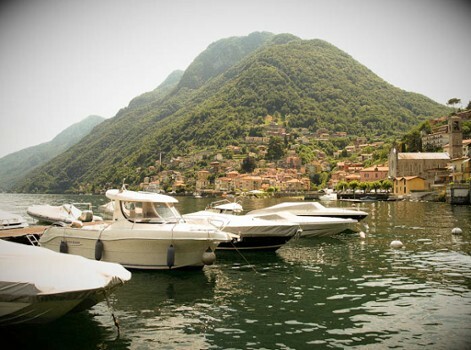 Boats are fitted with security equipment (accordind to law), anchor, pike pole, mooring ropes, fenders, papers (engine log-book and third party insurance) and with filled up. Gasoline not included in rental rate. Quicksilver Active 535 Open, a strong and reliable boat, with a deep V-bottom hull and high broadsides, to warrant best safety under any circumstance and weather condition. Bow seats can be quickly converted in a wide sun deck or in a confortable bench with table. The reliable 4-stroke 40 hp Mercury engine, allows high performance, with low fuel consumption. At delivery we will show features and operations of boat. 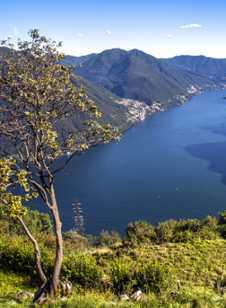 Nearby Things to Do include: Funicular and Cable Cars such as Cablecar Argegno - Pigra; Monuments such as Monument to the Fallen; Water Activities such as Lido di Argegno and Morgan Club; Villas such as Villa Rachele Beccaria; Towns such as Pigra and Sala Comacina; Churches such as SS. Trinita and San Sisinnio.